One day, Jesus took His three disciples Peter, James, and John along with Him to a very tall mountain where His face was transfigured before them. All of a sudden, Jesus’ face shone like the bright sun. The clothes of Jesus were shining and it was very white like snow. No one ever can wash their clothes to be as white as Jesus’ clothes. Then Elijah and Moses appeared to Jesus, and His three disciples Peter, James and John. Elijah and Moses began to talk to Jesus. After that, Peter, James and John looked out and found that Elijah and Moses were disappeared; only Jesus was left. 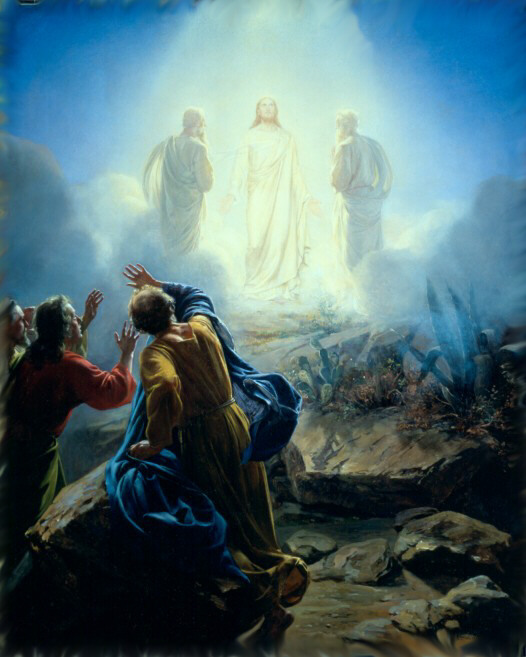 As Jesus and His disciples were coming down the mountains, Jesus warned them not to tell anyone about His transfiguration on the mountain except after he had risen from the dead. So the disciples keep it to themselves. However, they keep asking among themselves what does rise from the dead means.